Home news We Have Taken Nigeria Out Of Hell, Nobody Should Pray For PDP’s Return – Lai Mohammed. We Have Taken Nigeria Out Of Hell, Nobody Should Pray For PDP’s Return – Lai Mohammed. 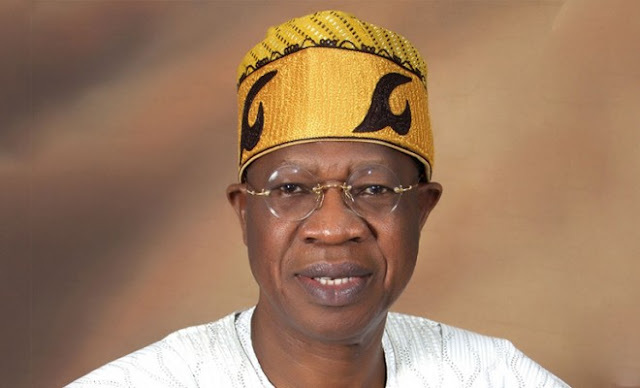 Minister of Information and Culture, Lai Mohammed, has said the victory of his party, APC in the presidential election in 2015 signified the exit of Nigeria from hell. He also stated that no one should pray for the return to power of the former ruling party, PDP – this he said in an interview with newsmen in Abuja. The minister also said the APC is not scared of the the possibility that PDP would return to power in 2019. ‘Now, as to whether we are afraid that the PDP would win, I can tell you absolutely, we couldn’t even contemplate it because it would be a tragedy for Nigeria to fall back into the hands of PDP. Look, we have very painstakingly taken this country through hell, I mean, they dropped us in hell, and we are taking you people out of hell, we can’t come back to Egypt. No, I am serious, it is not about APC, it is about President Muhammadu Buhari, it’s like the kind of revelations that are coming out, the kind of rot, you want those people to come back and preside over the affairs of Nigeria again. What difference between last ruling party and the present ruling party? All of you are evil. What we as Nigerians be proud off and what and had APC done since 2015 up to date. Shameless fool's. Useless Leaders. Scammers. A Big shame to you all. Thank you. Full of lies as his name implies. I'll rather pray the return of PDP than to follow APC come 2019. The end has come to your government in nigeria... all your activities too must be checked. Ole!